Brunch is my favourite meal of the day. Without a doubt. And that’s amplified at the weekend when I can actually decide where and when I’m having it. 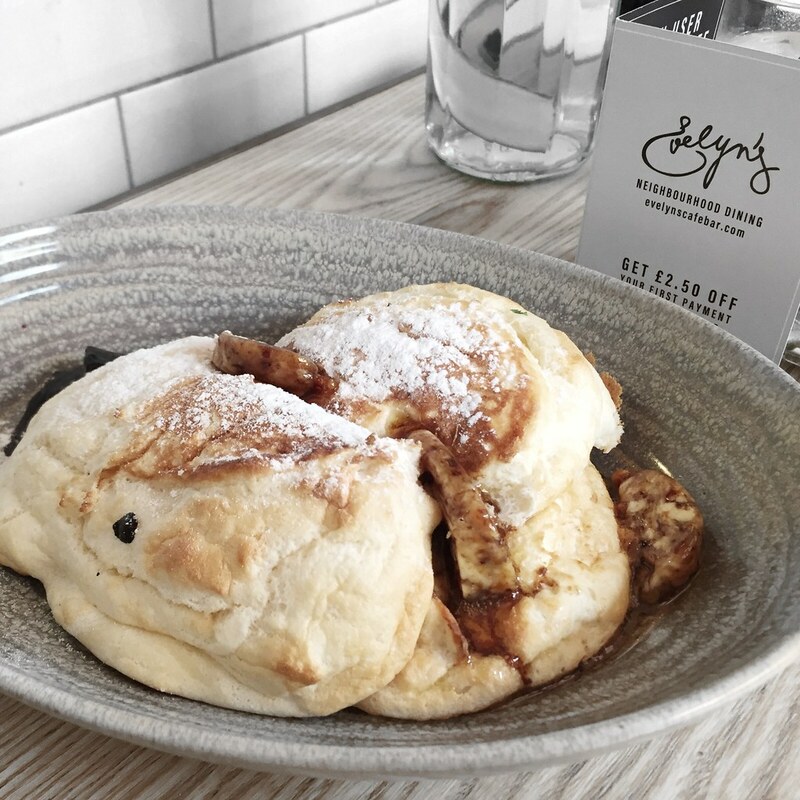 Last weekend I finally got around to trying Evelyn’s cafe bar, and I had high hopes considering all of the good things I’d heard. Located on Tib Street, it’s a cosy cafe nestled in amongst the rest of the Northern Quarter goodness. 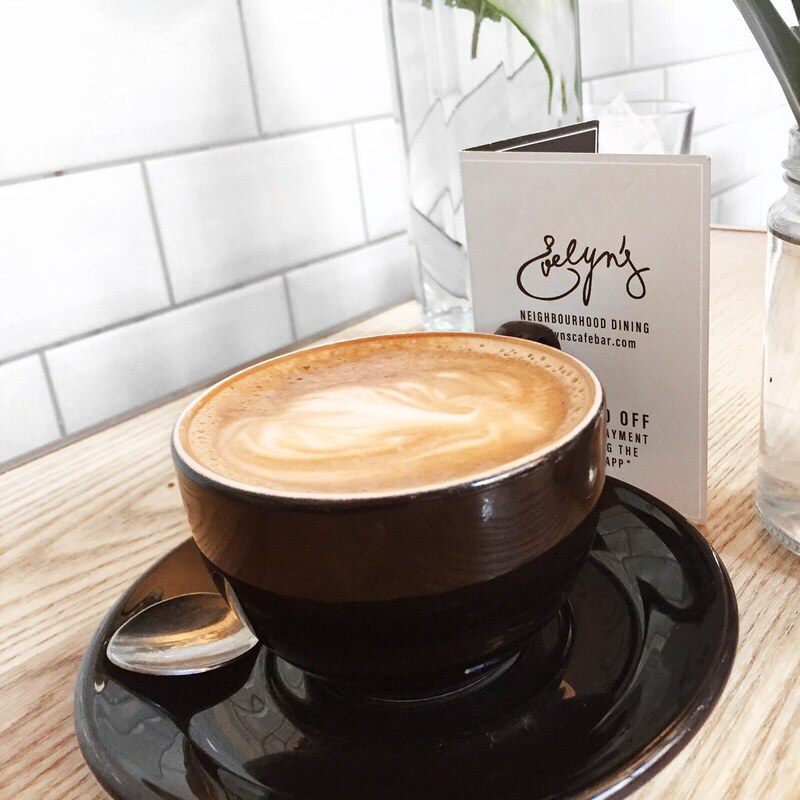 When you think of Instagrammable spots - Evelyn’s is one of them. Just search the # on Instagram if this post doesn’t convince you. It’s flooded with light and filled with quirky accessories, super chic furniture and an electric atmosphere. 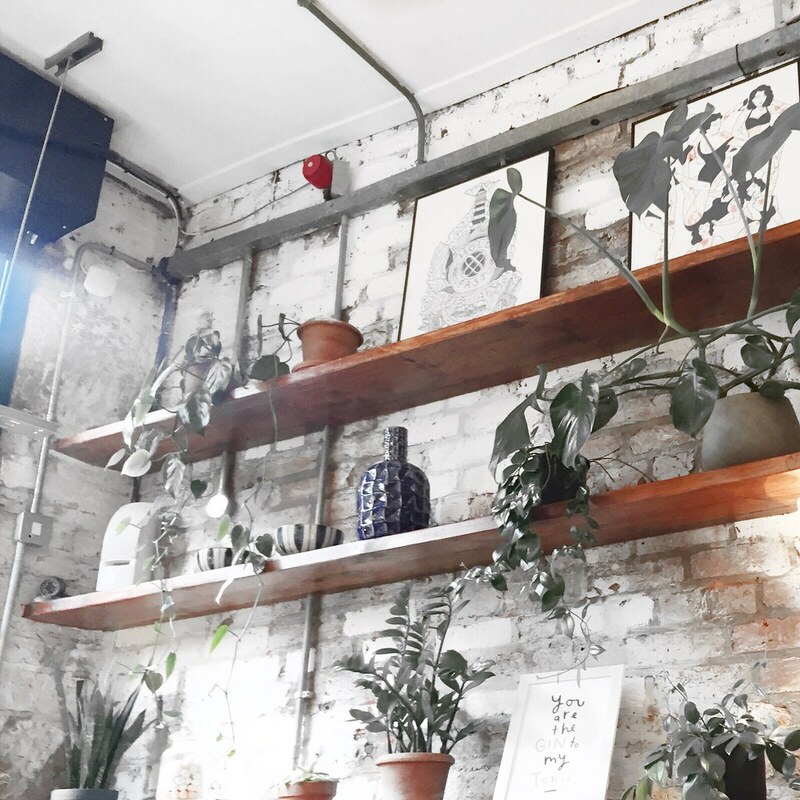 From exposed brick to hanging plants, an open kitchen and plenty of plug sockets for you to lose hours working with - it ticks all of the boxes in terms of a go-to work and play venue. One massive pro to Evelyn’s before you’ve even stepped foot through the door is being able to book. Getting brunch at the weekend in Manchester can, and often is a headache - if you’ve queued for Moose pancakes or waited over an hour for Home Sweet Home, you’ll know the struggle. So we took the stress away and booked a table for two, which was sorted in a matter of seconds. We were seated in this gorgeous setting, next to the kitchen and with a good view of the rest of the venue. When it comes to breakfast, I can never decide whether I’m after sweet or savoury. I definitely have more of a savoury tooth (if that’s a thing…) but I’ve had a craving for pancakes for the past few months so opted for the pancake dish. I have to say, I do wish there was an option of getting extras with your breakfast like other brunch spots, as that would make the decision a little easier as the menu is quite small compared to other eateries. But the pancakes did not disappoint. Portion size wasn’t massive and neither was my friend’s avo and eggs dish (we’re used to getting two eggs wherever we go - so bear that in mind!) but having had pancakes every week for three weeks at other Manchester spots, this was the first place I’d managed to finish them in the restaurant without having to ask for a takeaway box. Whilst on the smaller side to what I’m used to, they were without a doubt the fluffiest pancakes I’ve ever had and tasted delicious but still pretty healthy. I’d love to know the chef’s secret, but I doubt they’d share how on earth they get them so light and lovely. The staff were attentive and cheery and up until we paid the bill, we’d had a perfect visit. We were asked if everything was okay to which my friend fed back about the portion size and we were told it was ‘because it’s brunch’ - fair enough - just simply not the size we’re used to. And there was some confusion paying the bill as a voluntary charity donation had been added which we weren’t aware about so we’d mis-split the bill so I think this should be pointed out beforehand as I did feel like we were an annoyance to the staff at this point. But as a venue, I’d thoroughly recommend. Surroundings are stunning, food is delicious and tastes healthier than the usual brunch spots I hit up - a gem of the NQ that’s for sure.